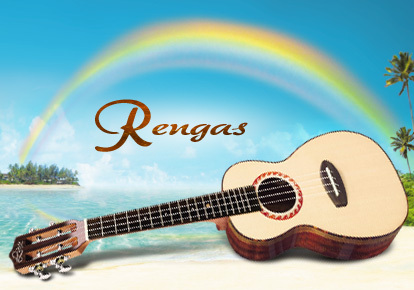 Rengas Series features a rare tonewood from Southeast Asia with tasteful, multi-colored, and deep grain striping. Though with its sound character somewhat similar to rosewood, Rengas wood boasts its own, individual array of very appreciable tone structures. Available with slotted headstock on larger body sizes, with solid spruce top, and an infinite-wave rosette design.